The Super Bowl is growing close and speculation is mounting over who will win, many believe that the New England Patriots led by Tom Brady are in a position to capture their first win since they won the Super Bowl XXXIX. The bookies think they are in with a fairly good chance, the Patriots are second favourites with odds of 4/1, ahead of them are the Denver Broncos with odds of 3/1 while the San Francisco 49ers are third seeds with odds of 6/1. 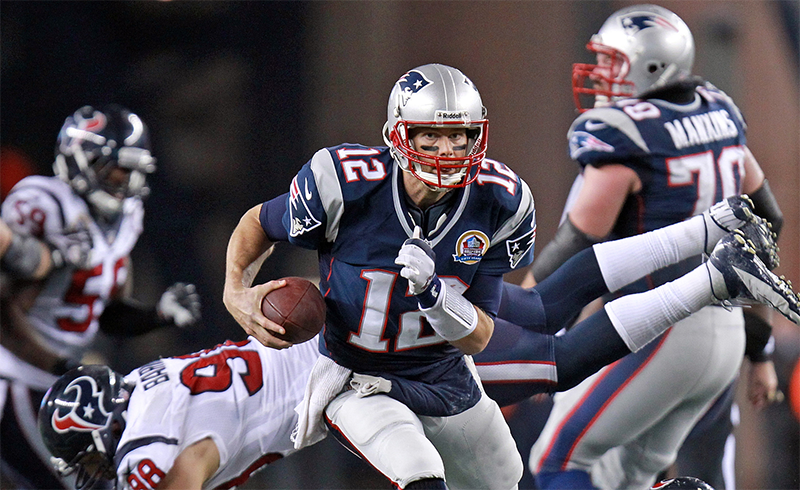 While the Broncos are favourites, the Patriots’ Brady looks better than the Broncos’ Manning. Manning is 9 – 10 in the playoffs while Brady is 16-6. When the two teams met in Week 5 of this season the Patriots beat the Broncos 32-21. However, if we look at Brady’s career he is 3-5 against Denver. Brady won the first three Super Bowls he played in but lost the last two. He is sure to be desperate for a win but ultimately it will come down to the rest of the team. Nonetheless it wouldn’t be very surprising if we see Brady lifting the Super Bowl trophy at the end of the game on February 3rd.